Tis the season for everything pumpkin! 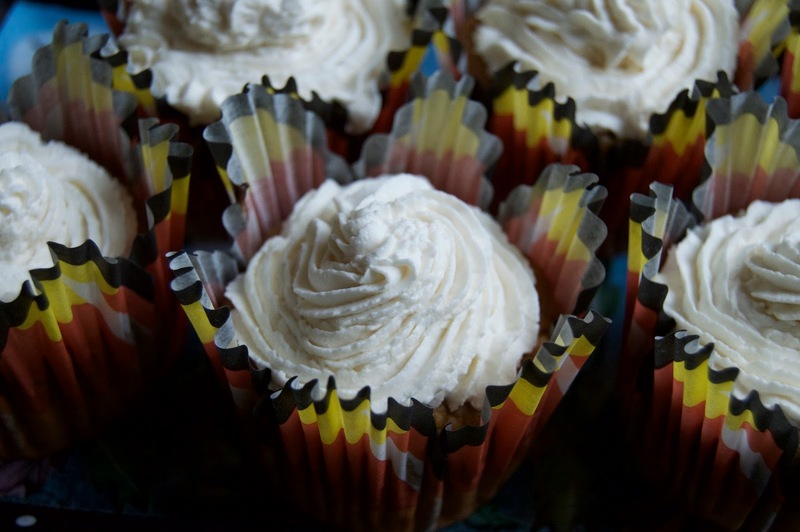 I made these cupcakes for the first time a couple years ago, and they got eaten so quickly that my friend and I had to make another batch almost immediately! They are just so good. And so easy to devour in a few bites. Plus, quick to mix up and bake. So all around, the perfect recipe! Preheat the oven to 350F. Line a 12-cup muffin tin with liners. 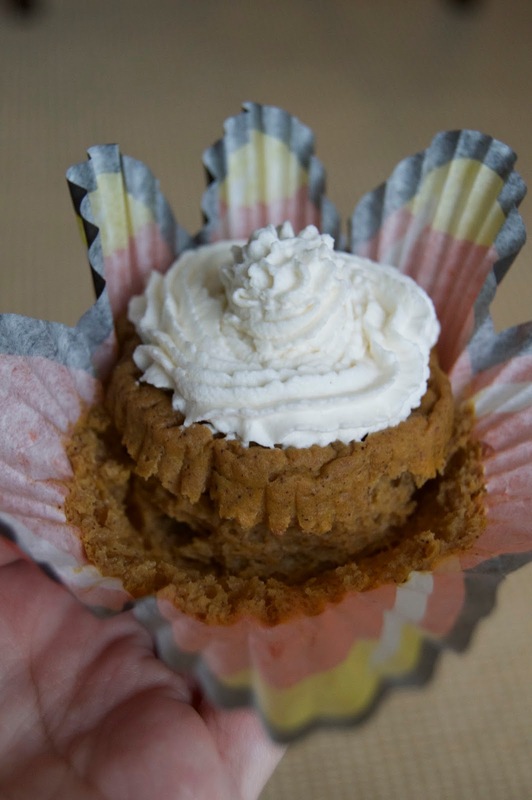 In a medium bowl, whisk together the flour, baking powder, baking soda, salt and pumpkin pie spice. 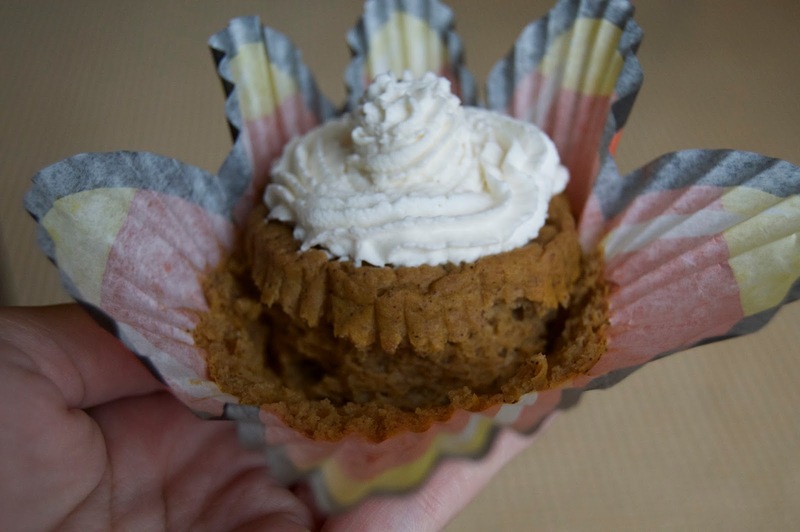 In a large bowl, whisk together pumpkin puree, sugar, brown sugar, eggs, vanilla and half and half until well combined. Add in dry ingredients and whisk until no streaks of flour remain and batter is smooth. Fill each liner with about 1/3 cup batter. Bake for 20-30 min (depending on your oven), and then cool the cupcakes in the pan. 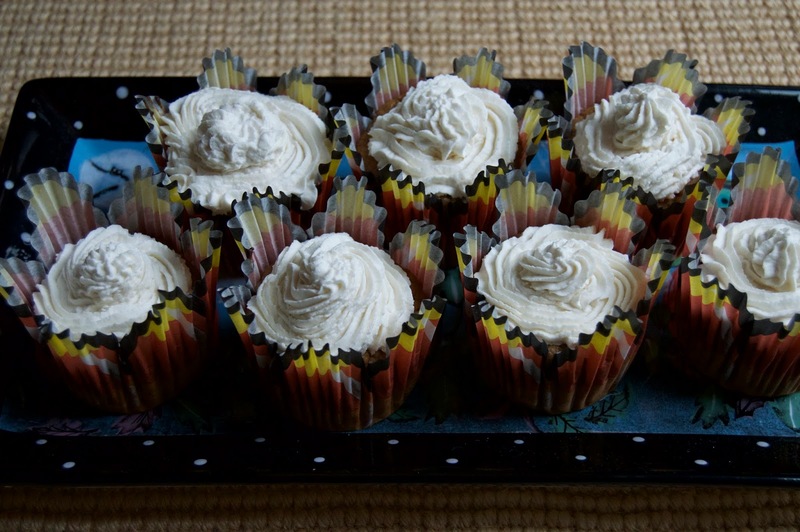 Chill cupcakes before serving and top with whipped cream. Pour the whipping cream into a mixing bowl and whisk on medium-high power until medium peaks form. Add the powdered sugar and vanilla and whisk until stiff peaks form. Add to the cupcakes once cooled. These look so good! I'm going to have to keep this recipe in mind for all the halloween parties coming up this month!